Ever since we decided to visit CO for Easter I knew I wanted to throw my big sister a surprise baby shower. I spent months dreaming up ideas, I really wanted it to be perfect. She is my oldest sister and has always been a role model of mine. :) As a girl whenever I felt crumby she was always there to pick me up and say something nice and encouraging to me. Seriously, I owe much of my self confidence to her! Love you D-llyn! Since she is expecting her fifth child I felt she needed a huge party! 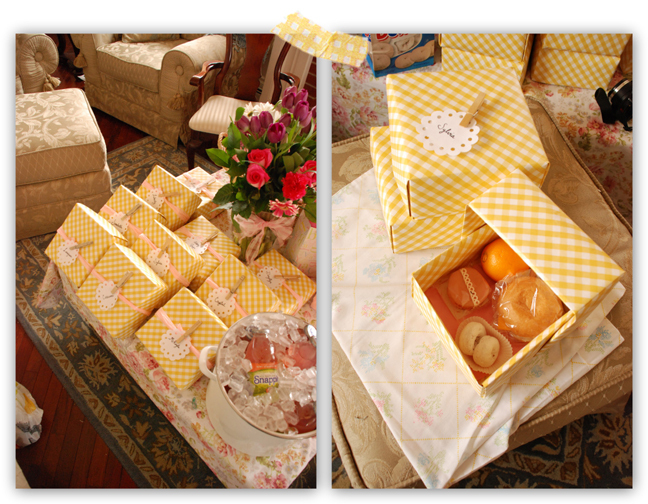 But instead of the traditional baby shower I wanted to celebrate her, so I decided to call it a mommy shower! I was really wanting to do a picnic party on the grass but it was FREEZING that day so we did it inside. :) I think it turned out so pretty, maybe even better than if it had been outside. 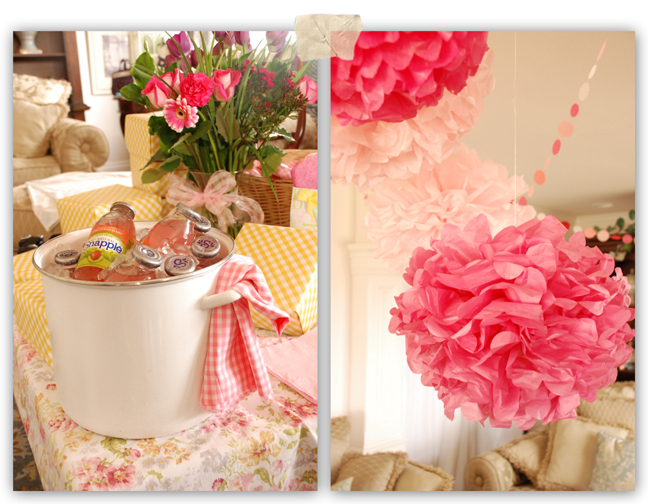 The decorations were a collection of the prettiest pink pom poms ever and the cutest confetti garland. My sister Annie Carie made the pom poms using Martha's method, and made the confetti garland by punching circles out of card stock and sewing them together. They really made it feel like a party. We loved them so much we left them up till Easter, and might be there still. :) Since I love origami boxes I knew I had to incorporate them into the party some how. When I was brainstorming with Annie Carie, & she mentioned doing boxed lunches, I just about screamed! Origami boxed lunches, it was meant to be! And I had just the right wallpaper for the job too, yellow gingham! I decorated each box with a tissue paper sash that was held closed with a clothes pin, and the name tags were made using my easy DIY doily instructions. Because the yellow and pink color scheme reminded me of pink lemonade, that's what I planned to drink. All they had at the store was kiwi strawberry, still yummy though. I used my moms cute white pot to put the drinks on ice. Isn't it the best? 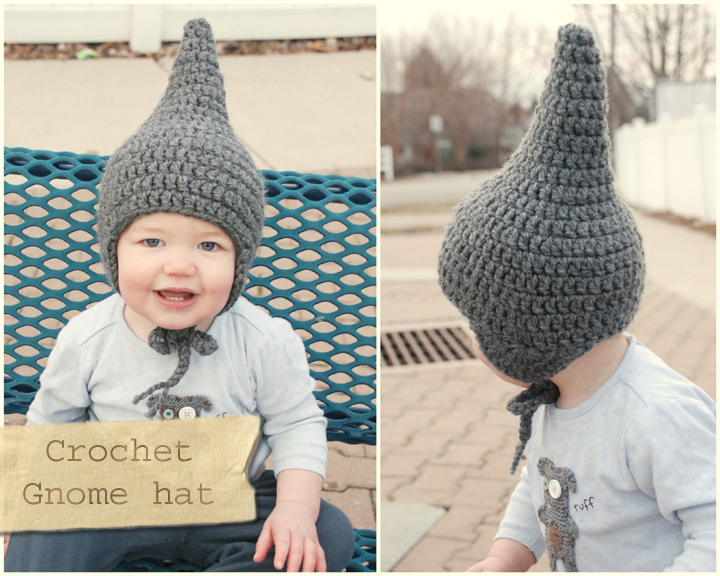 I want one just like it! We had such a fun time! Hope you had a great Easter I'll post photos of ours soon, my mom always makes the best table-scapes. Thanks for stopping by. you did great LJ! so wish I could have been there to celebrate with my sisters! Adorable! 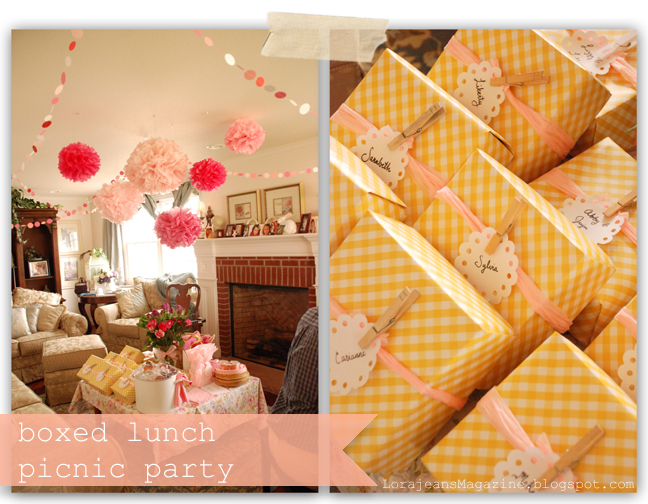 I'm hosting a shapes theme baby shower and those square box lunches could be just the thing! What fun!. Your family always has the best parties. You really know how to party. I LOVE this idea! 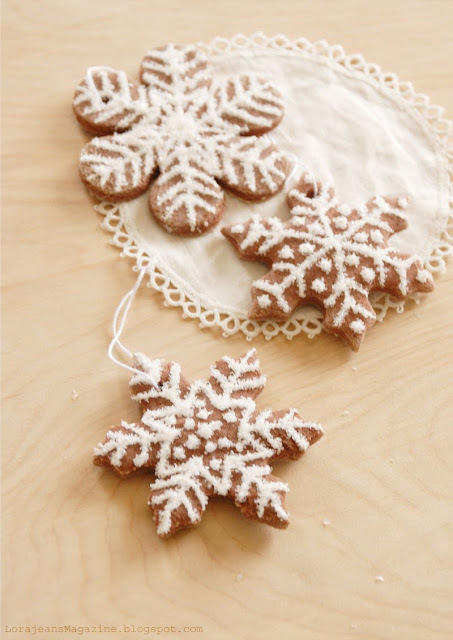 Simple and sweet, and flowery, and pretty...the adjectives could go on forever! Thank you so much! your pictures are so lovely! I got some but they are mostly dark and lack the vibrancy of the whole thing! I loved the whole lunch and the surprise! Thank you Thankyou! where you edit those pictures? Those yellow boxes are so fun! Where did you find them?